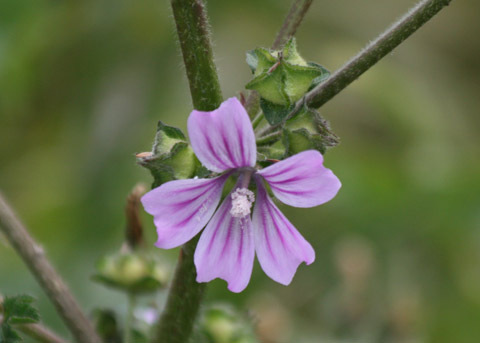 Flowers in axillary clusters; 5 sepals united at the base. Aliso and Wood Canyons Wilderness Park, Laguna Niguel, CA. 4-05-08. © Joan Avise. Exotic species, native to Eurasia and North Africa. 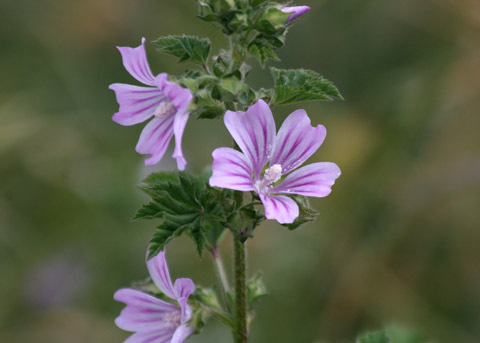 Similar to Cheeseweed, Malva parviflora, with segmented (7-9) disc-shaped fruit, but it is a larger plant with larger showier flowers and hairy stems. 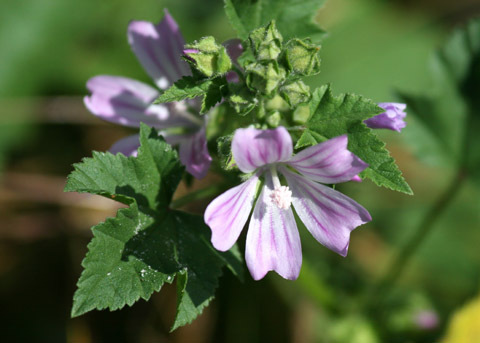 It is found along roadsides and other disturbed places. One pistil with many stigmas; calyx lobes close over the fruit. Aliso and Wood Canyons Wilderness Park, Laguna Niguel, CA. 4-05-08. © Joan Avise. Lobed saw-toothed leaves. Caspers Wilderness Park, San Juan Capistrano, CA.5-13-06. © Joan Avise. 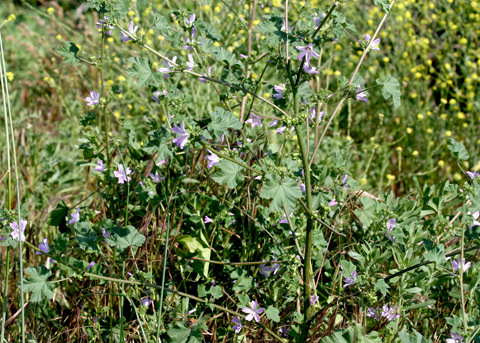 Can grow to 5 ft.; leaves with long stems (petioles). Aliso and Wood Canyons Wilderness Park, Laguna Niguel, CA. © Joan Avise.